Most problem coins are damaged through innocent acts or negligence. This can be as simple as improper storage of your coin collection in materials that can harm the coins. For example, if the coin collection was stored in coin folders or albums that contained cardboard with residual acid in it. Also, old coin collections were frequently stored in plastic holders that contained PVC. Over a long period of time the PVC will cause corrosion damage on the coin. 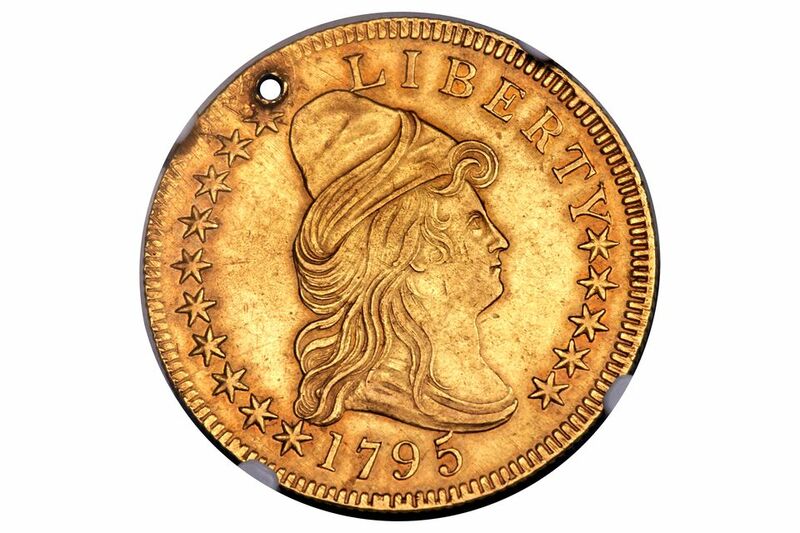 In the 1800s, it was common for coins to be used as jewelry. This was especially popular with the use of gold coins. Some coins were mounted in a bezel and used as a pendant on a necklace. The mounting process would damage the coin around the rim. Other people just drilled a hole through the coin and suspended it from the necklace. I have also seen small one dollar gold coins that were soldered to the end of a stick pin and used as men's jewelry. The damage on some problem coins is also intentional. Nothing is more common than somebody trying to clean their grandfather's old coins with an abrasive cleaner thinking that "shiny" coins are worth more than dull and dingy coins. Finally, other damage is intentional and done with the intent to cause deception. This is most commonly known as "coin doctoring." The deceptive person will try to alter the coin in order to cover up a problem or imperfection on the coin in order to increase its value. Most dealers have an inventory of problem coins kept behind the counter. Except if the coin is extremely rare and worth thousands of dollars, they may place it in one of their showcases. Ethical coin dealers will label these coins appropriately and not mix them in with their regular inventory. Most coin collectors want problem free coins in their collections. Since these coins have problems, they are usually sold at a discount price. Depending upon the problem, the discount can be as much as 50% or more; the bigger the problem, the bigger the discount. Coin collectors looking for bargains will think they are getting a great deal by purchasing a problem coin. Unfortunately, they will be disappointed with a less than expected price when they go to sell it since it is a problem coin. Coin dealers usually avoid purchasing problem coins since it may sit in their inventory for a long time. The best way to avoid purchasing problem coins is working with a trusted and ethical coin dealer. They will clearly inform you of the problem with the coin and why it is being offered as such a steep discount. The best strategy in assembling a collection of coins is to avoid problem coins at all cost. Save your money until you can purchase that key date coin without a problem. Unfortunately, most coin collectors have a budget they need to live within. If the only way you can fill that last hole in your collection without breaking your bank is to purchase a problem coin then take your time and search for a coin that has the least amount of problems. Keep in mind that when you go to sell it you will be selling a problem coin that will also be steeply discounted.